Lately I’ve been drawing a lot of patterns. I’ve tried combining it with another one of my favorites: veggies! 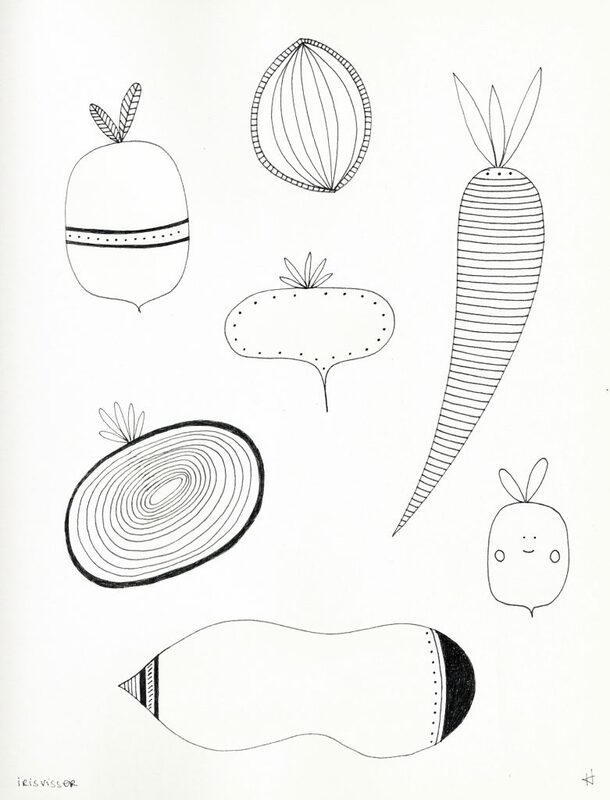 References in my mind were a cocoa bean, turnip, radish, onion, sweet potato and of course the carrot.